Inside the world of smart-aged technology, there are business minded people who go the whole nine yards in making huge profits by initiating their talents into multiple businesses. 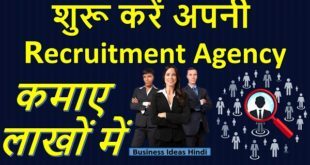 In fact, the latest motto of every individual who aims at making money is starting off their own types of businesses and becoming a successful businessman. One of the traditional yet an expanding field in the business associated with the making of Poha. Starting off a business in making Poha might make you a successful businessman, but only if you follow the strategies carefully. In this guide, you will be enlightened with the raw materials with price, Poha making process, machine, and so on. To know the business entirely, one can keep reading on. Poha happens to be a food item that is consumed by the people of India and hence making a business in this field is of huge importance. In fact, the interest of the people in starting a business in this particular field is due to the fact that Poha is consumed by all ages. Another reason why Poha is consumed is that of its delicious and healthy benefits. It is demanded in the market due to the excessive consumption. The raw materials used in Poha have been mentioned right below. The raw materials used in Poha have been mentioned right below. 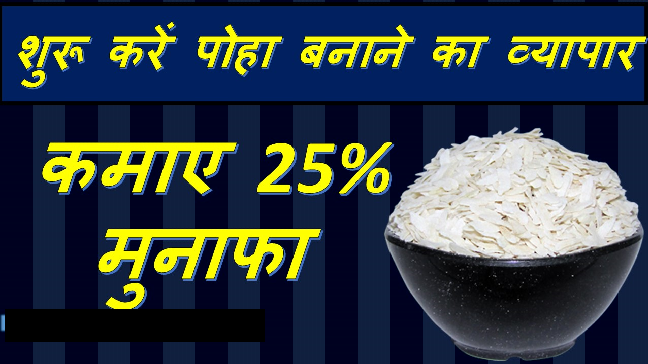 Rice – Made up of rice, Poha is paddy, and hence one needs to purchase a huge amount of paddy. Rice happens to be one of those products whose price doesn’t stay the same, in fact, it keeps on changing. Paddy – One has to buy a huge amount of paddy. While it is already available in the offline market, one can also choose to survey a bit on the online market in order to get paddy at a cheaper price so as to make the business effective. The making process has been mentioned in the below-offer list of points. To know more, one can keep reading on. First and foremost, making of Poha involves you to check whether or not the paddy is cleaned. Also, one needs to check whether or not the existing stone or pebble has been removed from the paddy. This will include good quality of the Poha. Second off, upon cleaning the paddy, it must be kept in the hot water at last for a minimum of 40 minutes. Upon the completion of forty minutes, the paddy must be taken out of the water and must be kept for drying. After the paddy is dried completely, they are supposed to be roasted. One can easily roast the paddy through either a roasting machine or a furnace. After the paddy is dried, it becomes chhalco that is supposed to be attached in paddy and is separated from it. Upon the removal of the peels, they must be filtered such that separation of other things from the material is done seamlessly. Upon the completion of this particular process, they must be put into the poha machine. In such a way, Poha is ready to be served in packet in the market. How to get the Machine and what is the exact price? Buying and setting up POHA unit wouldn’t involve knowing any rocket science. But to go for the purchase and then set the machine up, you will need a minimum of 500 square feet of space where you will be able to find the place at affordable price tags. You can even rent the place accordingly. By taking the place, you just need to fit the Poha making machine in a convenient place. Upon fitting it accordingly, you can begin working on it. Ahead of selling Poha in the offline or online market, one has to decide and initiate in taking major types of licenses from the State Government. One can also sell the product right after proceeding with the license process. As making of Poha is associated with food, one has to proceed with the license process from FSSAI. In the meantime, one also has to start the poha factory in order to obtain other licenses that are supposed to be given by the government. The many benefits associated with the business of Poha have been mentioned right below. To know, one must keep reading on. One can jump into the Poha business at low cost even. As a matter of fact, the profit associated with the business can be earned effectively. Making Poha only involves you invest money in rice, which is the main raw material of Poha. The making of Poha can be done with a seamless process, and one certainly doesn’t need to learn rocket science or space-age technology in order to boom in this business. If someone is starting the Poha business, the financial assistance will be provided by the government to them. Therefore, if someone doesn’t have a lot of money for investing in a business, he or she can start investing in the Poha business seamlessly by taking loans. People get a huge amount of assistance for the purpose of loan while initiating a Poha business by the government of India. Hence, for the ones who don’t have enough money for Poha trading business, can apply for loans at low interest and start their business according to the loan preferences. Suppose you are making a total of one thousand quintals of poha. In that case, you will be able to earn a total of 10 lakh rupees after you sell one thousand quintals of poha in the market. This will be coming in the form of profits, which means your profit from 10 lakh will be of a total of 2 lakh rupees. So, ahead of starting your Poha business, it is important for you to spend time on surveying about the strategy required to excel in this business. Next How to Start an Air Conditioning Service Business ?